Hello! I received an essential oil diffuser to try out. This one is very nice because it is bluetooth activated and comes with an essential oil set of 8 very nice and 'essential' essential oils. These are the ones you really need the most. It also acts as a small cool mist humidifier, it has an alarm, it syncs to Bluetooth to your music. It also has beautiful lights that fill the air with a glow. The shades change so often as you want them. I love to use Lavender and Lemongrass in this. Lemongrass is good for having energy and making you feel energetic. Lavender is for relaxing and going to sleep. I also like Frankincense too. Components: The Bluetooth Oil Diffuser comes with the diffuser device and a power cord. How to Set Up Essential Oil Diffuser: Plug one end of the power cord into the bottom of the diffuser. Place on a flat surface and lift the lid of the diffuser device. Fill the diffuser with water up to the MAX line. Add 5-6 drops of the essential oils of your choice. Replace the lid, and plug the other end of the cord into an outlet. Press the MIST button to start. How to Adjust the Electric Cool Mist Timer: By pressing the MIST button multiple times, you will see a light move from ON to 1H, 3H, and 6H. If you press the MIST button one more time after 6H, it will turn off. How to Adjust the 7 Color LED Lights: Press the LIGHT button to turn on the 7 Color LED lights. If you press the LIGHT button a second time, it will stop the alternating 7 colors scheme, to the 1 fixed color that it is currently on. How to play Music: Place your phone or other Bluetooth device within 3 feet of the diffuser. Search for available devices and select “ArtNaturals”. Have fun playing music from your playlist or other music stations. To adjust volume, hold the LIGHT button to lower, and the MIST button to increase. How to set the Clock: Hold the CLOCK button down until 0:00 appears on the screen. Use the LIGHT and MIST buttons to adjust the hour. Press the CLOCK button to switch to minutes. Press the LIGHT and MIST buttons to adjust the minutes. Press CLOCK again and use LIGHT and MIST to select 12h or 24h. Press CLOCK again to finish setting. How to Set the Alarm: Hold ALARM button until -:-- appears on the screen. Press LIGHT and MIST buttons to adjust the hour. Press ALARM to switch to minutes. Press LIGHT and MIST buttons to adjust minutes. Press ALARM again to finish setting. How to Cancel the Alarm: Hold ALARM button down until the set time appears on the screen. Press CLOCK to clear the time. Press ALARM to finish canceling. Using oils on the skin is possible. They have carrier oils and regular essentials oils that would be placed in the carrier oil. A carrier oil is something like Jojoba oil, grape seed oil, fractionated coconut oil, Argan Oil, Castor Oil and Tamanu Oil. Top 8 Essential Oils: empower yourself, your friends and family with their Top 8 Essential Oil Set. This selective collection includes: Eucalyptus, Frankincense, Lavender, Lemongrass, Peppermint, Rosemary, Sweet Orange and Tea Tree. These oils have a multitude of therapeutic properties and uses that can enhance wellness, purify your home or office, and inspire positive emotions. Nature has endless abilities to heal and now Art Naturals has packaged the most useful oils for you to use at your leisure. Set the mood in your household or office space, kill germs, promote better sleep and breathe easier with these 100% pure essential oils. Aromatherapy produces immediate results that are safe and effective. 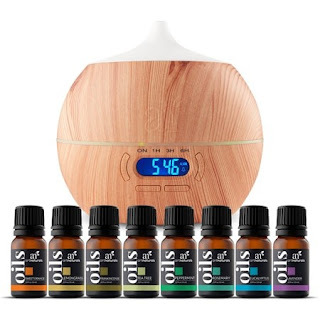 Use in a Standard or Bluetooth Oil Diffuser or add a few drops to their Volcano Humidifier to instantly transform your home or office into a sacred space. Aromatherapy and the medicinal use of plants have been recorded in history for more than 5,500 years but researchers and archeologist have documented plant remains in burial sites that date back to 10,500 years ago. It wasn’t until the development of the still and steam distillation process (approximately 980-1036AD) when the discovery and extraction of essential oils came to be. By the 13th century, the process was refined and essential oils gained popularity throughout Europe. Those that worked around oils, such as physicians, perfumers and glove makers, stayed healthy through the plagues and many diseases that were rampant during that time. Using what Mother Nature has to offer is nothing new, but it definitely is special. When you are ready to work with essential oils on the body you have to put them in carrier oils. Why: 1)So the sun does not scar your body. Look it up on Google, it happens. 2)So the mix is proper and does not damage the body: that includes internal organs. These can to harm to the kidneys, the liver, etc. 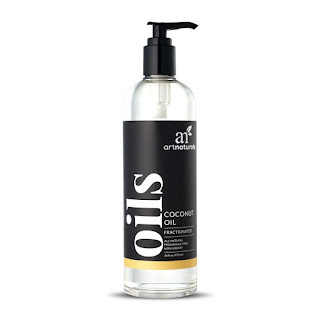 Always dilute in a carrier oil prior to using or blending with other oils. Eucalyptus can be used to combat acne, boost immunity, and is a good addition to massage oils to tackle rheumatic conditions. Blend Frankincense with peppermint to help with pain or blend with eucalyptus to assist with chest congestion. Combine Lavender with Lemon and Peppermint to assist with allergies. Blend Lemongrass together with sweet orange for uplifting the mood. Reduce fevers with Peppermint, stay focused with Rosemary, and become refreshed and uplifted with Sweet Orange. Infections can be fought with Tea Tree as well as tackling household germs and mold. Use each oil alone or blend together in a standard or Bluetooth oil diffuser, or place 1-2 drops in the palm of your hand and inhale deeply. Eucalyptus - People with Asthma should be cautious with Eucalyptus. Studies show Eucalyptus being helpful; however in certain cases, it may set off an asthma attack. Do not use on children under the age of 5. Use with caution for children between 5-10. Frankincense - Non-toxic, generally non-irritating. Lavender - Non-toxic, generally non-irritating. Lemongrass - May irritate skin and mucous membranes. Use in low dilution rates of .7% (3-4 drops per 1oz carrier) when applying to the skin. Use with caution on children (.5% 2-3 drops per 1oz carrier) and do not use when pregnant. Oils containing Citral should be avoided with antidepressants (specifically Bupropion), which could potentially inhibit CYP2B6 enzyme. Peppermint - May cause skin or mucous membrane irritation. Use a 1-2% dilution for topical use. Avoid using with children under 5 years of age. Peppermint can raise blood pressure. Contraindicated in case of cardiac fibrillation and for G6PD deficiency. Rosemary - People with Epilepsy should avoid Rosemary. Do not use Rosemary if pregnant. Rosemary can increase blood pressure, if you have high blood pressure, use in low dilutions 1% (5-6 drops per 1oz carrier). Do not use on children under the age of 5. Use with caution for children between 5-10. Sweet Orange - Non-toxic though it may cause skin irritation if not diluted properly. Use in low dilution rates 1-2% when applying to the skin. Tea Tree - May cause skin irritation in people with sensitive skin. Isn't this just the best? You can buy one for yourself or give it as a gift. This is going into my Holiday Gift Guide 2017. It is definitely a great gift in the lower mid-price range. It is suitable for men or women. And it can be use often. I would say 18 to 98 could use this! These items are available through www.artnaturals.com. Like Art Naturals on Facebook:https://www.facebook.com/pages/Art-Naturals/794111280668325?ref=hl; Follow Art Naturals on Twitter:@ArtNaturals; Follow Art Naturals on Instagram: https://www.instagram.com/artnaturals/; Follow Art Naturals on Pinterest: https://www.pinterest.com/artnaturals/; Follow Art Naturals on Google+:https://plus.google.com/108675165094141489383 and Subscribe to Art Naturals on YouTube:https://www.youtube.com/channel/UC18WB4YIil4oK_R_Z315Esg. Here is a link to the Art Naturals Arabica Coffee Scrub I reviewed http://bit.ly/2cOcHeh. Check it out, it is a very nice scrub for the face and body.